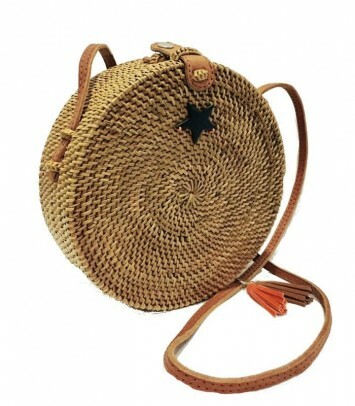 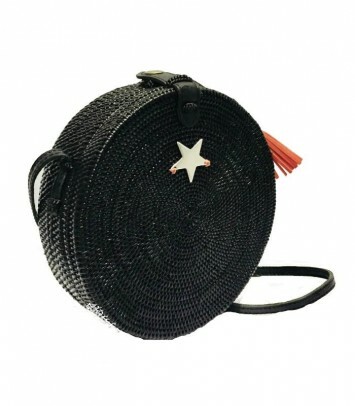 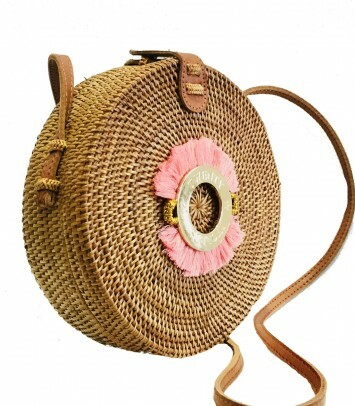 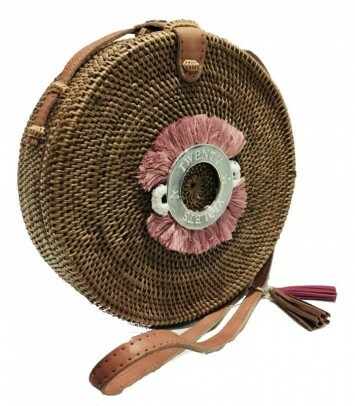 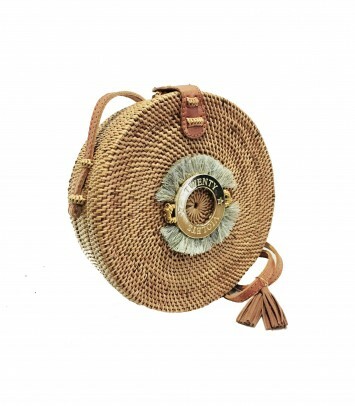 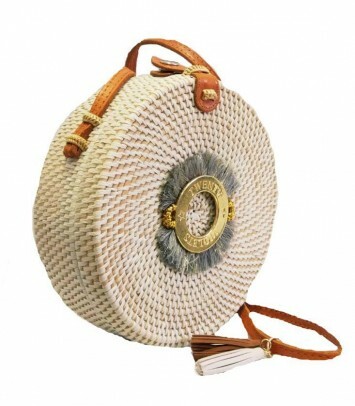 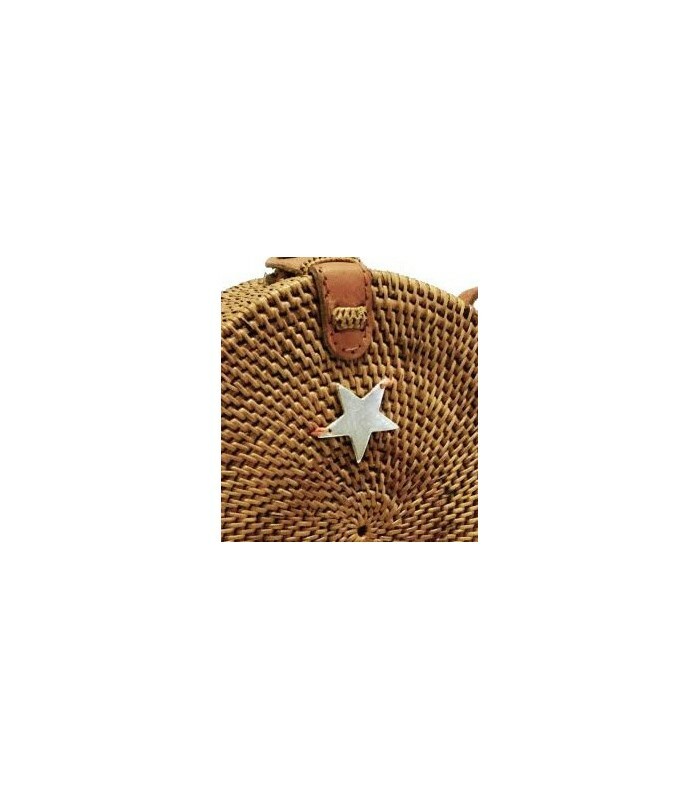 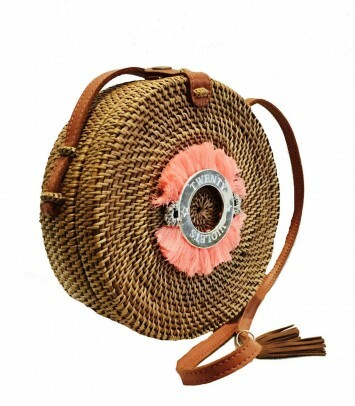 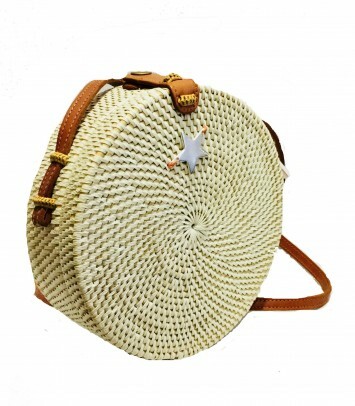 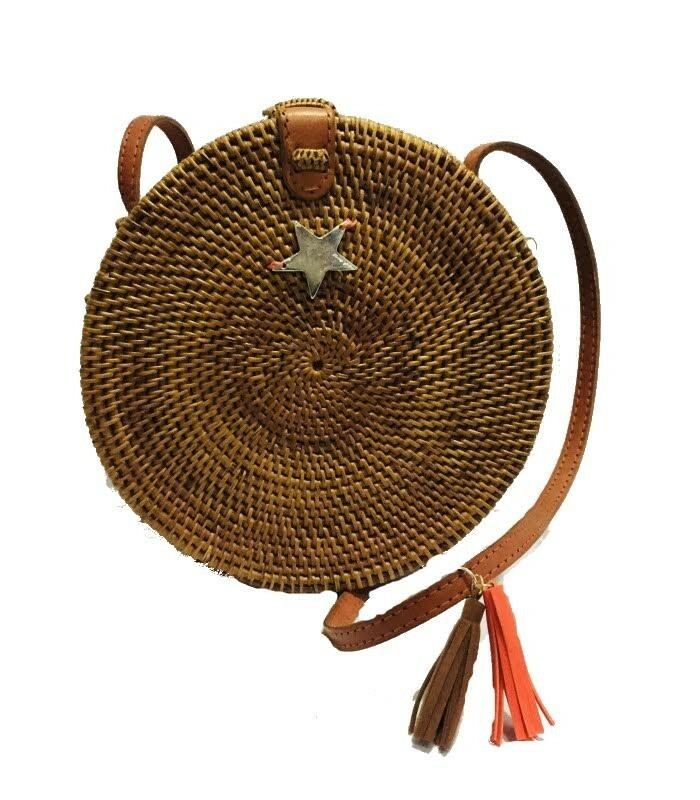 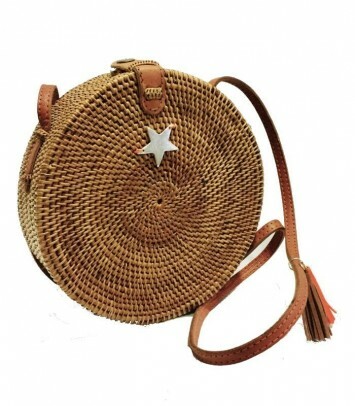 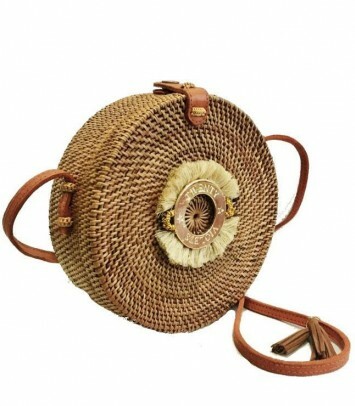 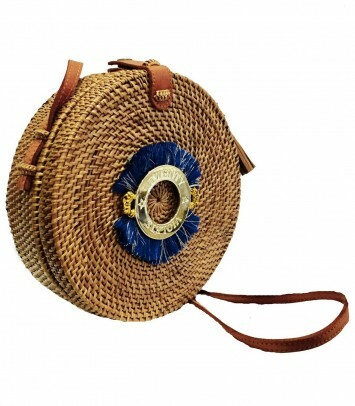 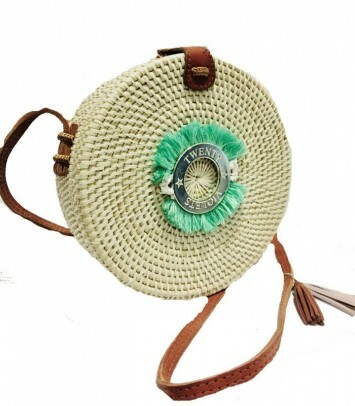 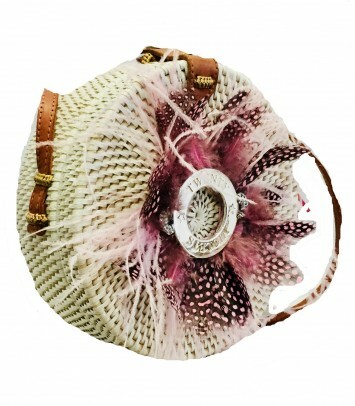 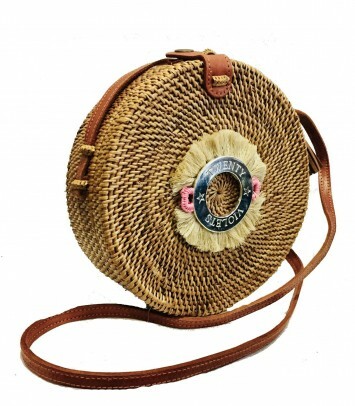 Round woven rattan bag handmade in Bali with silver Twenty Violets star. 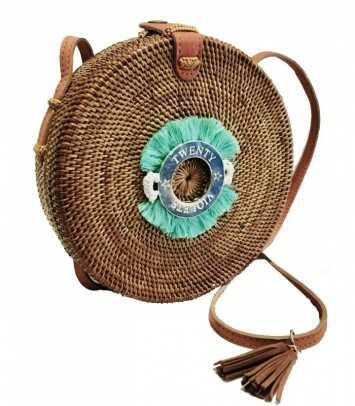 This gorgeous bag is featured with a traditional batik print lining (the print can vary) and leather strap. 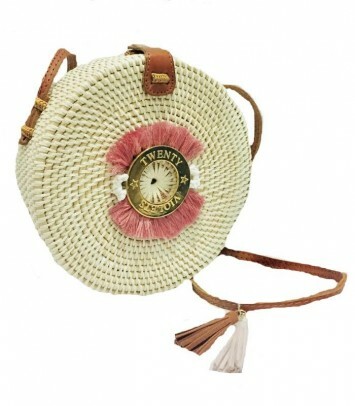 Measures: 20 centimetres diameter and 55 centimetres strap. 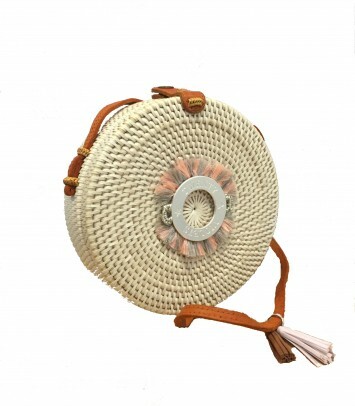 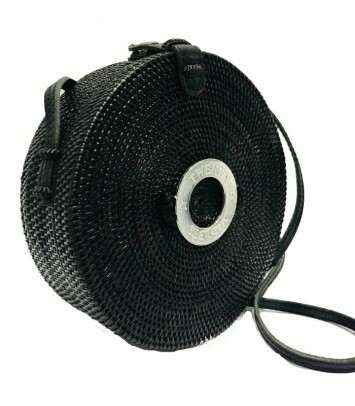 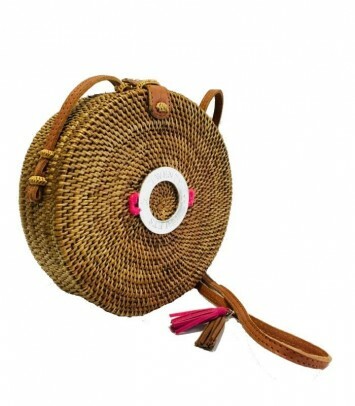 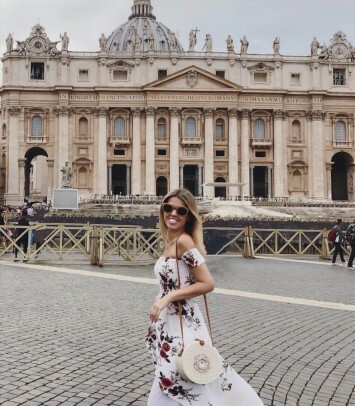 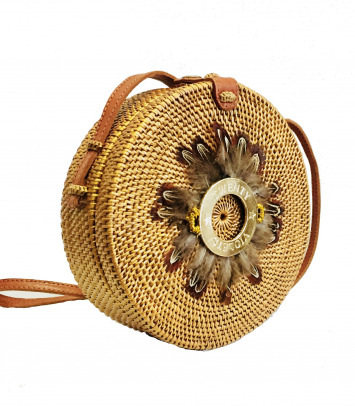 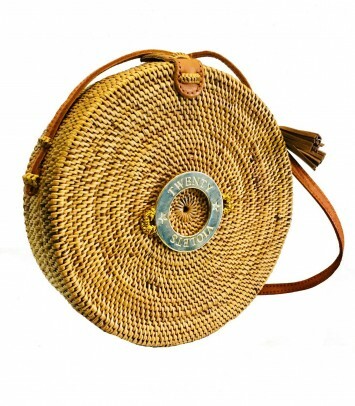 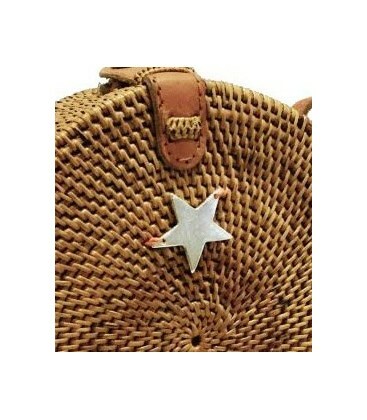 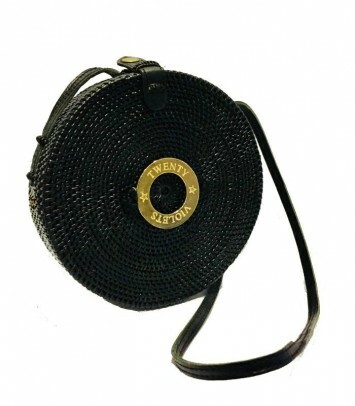 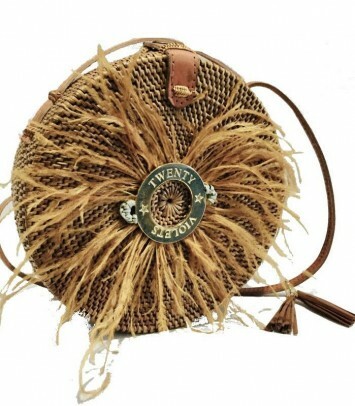 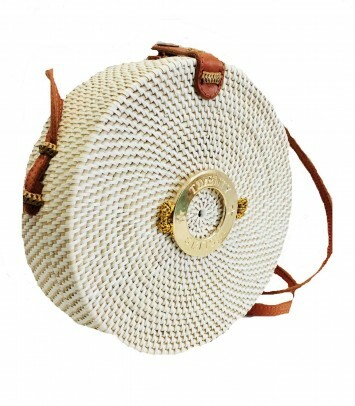 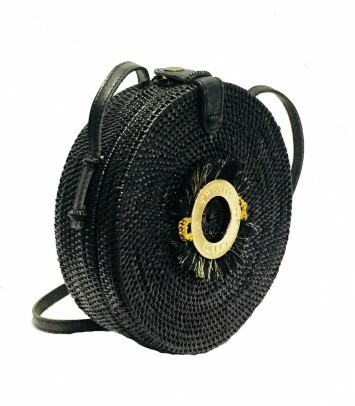 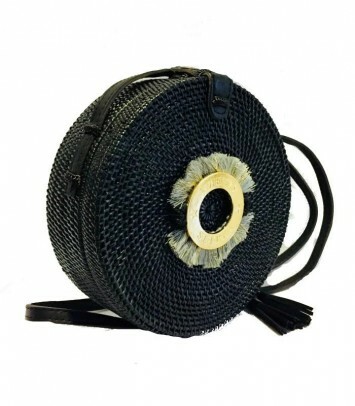 The manufacturing process of this bag involves smoking rattan in a traditional coconut hask oven to add strength, so a slight natural smoky smell can be noticed.